10 December 2018. By Matthew Holehouse. A major plank of the Brexit preparedness strategy has collapsed, the UK government has admitted. The UK’s appeal to the European Commission to open side talks to keep the high-volume “roll on roll off” ferry port at Dover in the event of a no-deal Brexit has been rejected. The commission will insist on applying “full third-country” checks on goods and people entering the continent in the event of a no-deal exit. “The cross-government planning assumptions have been revised,” said a Cabinet Office statement published Friday evening. The warning from the department that directly assists the UK prime minister and most senior ministers, was repeated in statements sent to local health authorities and the drug industry. The department’s new assessment alters the choices of any incoming prime minister should Theresa May’s administration collapse. The decision today to postpone a vote on the terms of the UK’s withdrawal agreement underscores the difficulty of any withdrawal agreement passing. Several of May’s would-be successors have told newspapers they favor undertaking a “managed no deal.” According to them, this would see the UK and EU take joint action to manage the withdrawal, while reverting to World Trade Organization terms of trade. What precisely this process would entail remains unclear. According to some newspaper reports, it would include striking several “mini-deals” to minimize disruption in areas such as pharmaceuticals or customs. Alternatively, it's suggested the UK should engineer a short transition period during which nothing would change while the country prepares its exit properly. The UK could pay a chunk of its financial settlement, leading pro-Brexit lawmaker Jacob Rees-Mogg has suggested. The move would pave the way for trade talks while letting the UK dodge its proposed obligations to prevent a border with Ireland. But the Cabinet Office’s statement on Friday confirms these options aren’t viable. While the UK won’t impose new controls on inbound freight, it “does not have control over the checks which member states impose at the EU border,” the document stated. The government said the prognosis was “very much a worst-case scenario” and it hopes national governments will break rank from Brussels and minimize new checks. The commission has insisted its response to a no-deal exit would be highly limited. 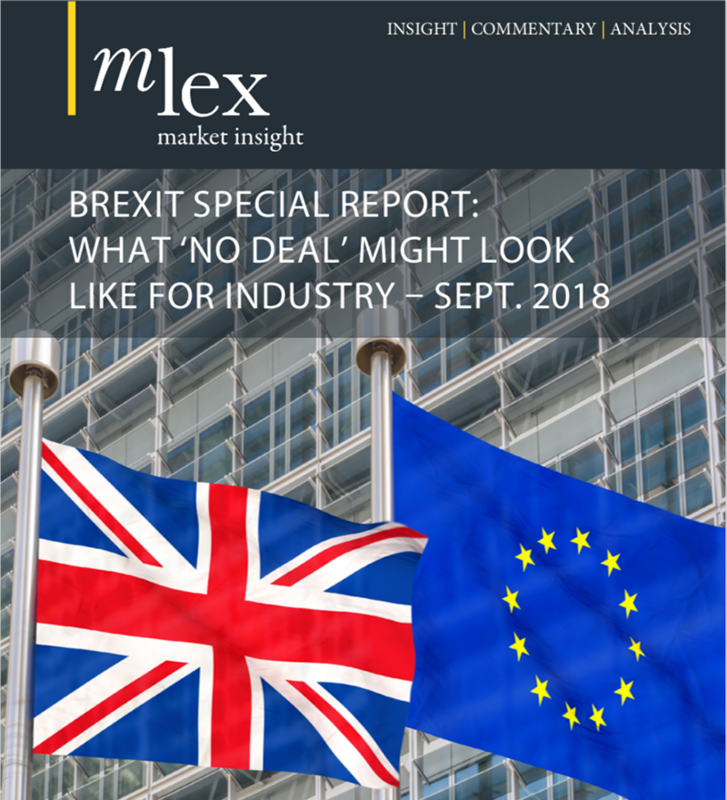 Its action would be limited to areas where businesses acting alone wouldn’t be able to avoid harm by restructuring their operations to avoid exposure to the UK. Any action will be time-limited, taken unilaterally, and designed to prevent national governments breaking ranks. Action is planned to prevent disorder in aviation routes and clearinghouses. But it won’t avoid chaos at ports. UK haulage companies would require permits governed by international conventions, which cater for approximately only 5 percent of current traffic volumes. Meat and vegetable imports would have to undergo full screening at veterinary inspection posts. Consignments of goods will also require customs checks, like imports from any other country. The problem remains, however, that many lawmakers believe the commission is bluffing, or would be forced to relent within days — and don’t trust the advice of the Cabinet Office. This may be mistaken. The desire of EU governments to hold a common position, and demonstrate a no-deal Brexit to be a costly mistake, may outweigh the instinct to prevent long queues at Channel ports. Any would-be leader of the Conservative Party may be forced to declare their support for a “negotiated no-deal” as proof of their pro-Brexit credentials. A major miscalculation looms.